Action in Africa partners with companies, organizations and people across the globe to carry out our mission in Uganda. The challenges we face require collaboration and support from those outside our little AIA circle. We are grateful to work alongside a variety of extraordinary people and groups to help make progress towards our goals. 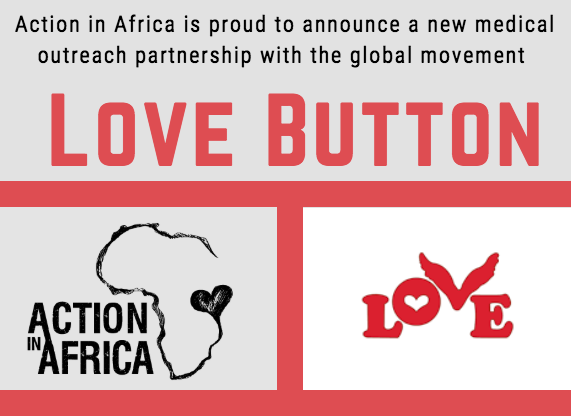 This week, we are so honored to introduce you to Action in Africa's Partner, Love Button Global Movement. 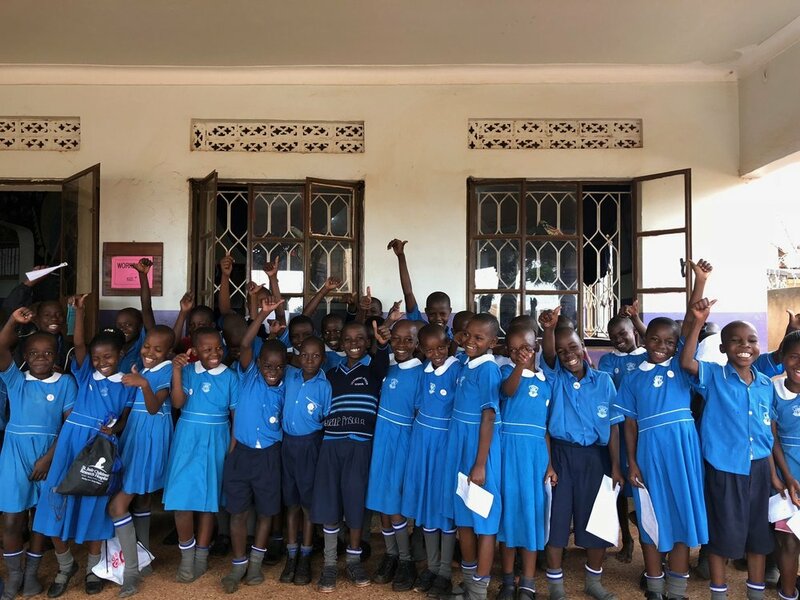 Action in Africa's very own Mikayla Pellerin, interviewed Love Button's Executive Director, John Marino, to discuss this partnership and why it is so special. Read the full interview below. Mikayla: How did you first find yourself getting involved with Love Button? John: The universe connected me with Love Button. Something was missing in my life and I was searching for purpose. Love Button sought an executive director and I sought something more meaningful. It was the perfect intersection and great timing. Mikayla: What drew you to Love Button in particular? John: The mission is so beautiful, inspiring and joyful- to spread love, foster loving acts of kindness and to transform and uplift the lives of our human family. It’s so simple yet so profound. I wanted in! I am privileged and grateful for the opportunity to be of service. Mikayla: What are some of Love Button’s campaigns that you are really proud of and why? John: The central mission of Love Button, to promote love, is so rewarding. It is powerful, noble and needed in our world. We are planting seeds of love in our communities, engaging our human family in a deeper consciousness and developing greater connectivity. We believe we are all in this together. Specific campaigns to point to include Love Button’s presence in Parkland, Florida following the mass shooting at Marjory Stoneman Douglas High School. We came to be of service, to offer some comfort and to promote healing in a devastated community. Love and compassion are central tenets of our educational and outreach programs. We are developing programs and curriculum to counter shaming, bullying and exclusion in schools with our message of love. We also have integrative health programs and university partnerships to promote compassionate physicians trained in the art of linguistic healing. We are very excited about these programs. Mikayla: What do you think was the major keys to Love Button’s success? John: Our message of love is simple and universal. There is an incredible line of energy going through Love Button. The organization is surrounded by passionate people who exhibit a prolific way of answering the call of loving. We can see the possibilities of Love Button to inspire and to transform our world. Love is the pathway and solution. Mikayla: What are one to two pieces of advice you could tell every non-profit director or president starting out or really trying to grow their organization? John: Clearly identify your objectives and where you want to take the organization. Develop a strategic plan, surround yourself with talented and committed people, and execute. Mikayla: In your opinion, what are critical attributes or skills a director of a non-profit should have? John: Most importantly, bring a deep passion for the mission of the organization. It cannot be simply a job; the mission must be central to one’s core beliefs. The director should wake up with an enthusiasm for the nonprofit’s success. Leadership, vision, management, fund development, communications, technology and creativity are essential skills for a highly performing director. Bring a sense of humor and pause and love each day. Mikayla: Do you or how do you see nonprofits changing in the coming years? And in addition, what kind of vision do you have for Love Button? John: The vision for Love Button is organizational growth so we can touch more lives and be more impactful. We intend to offer more programs that cultivate loving action and will empower, educate, and uplift our human family locally and globally. We will elevate this organization to the next level, to be of greater service and an agent of positive change. Mikayla: What drew you to choosing Action in Africa as a new campaign partner? John: Action in Africa is an amazing organization that is making a difference. Love Button commends its impressive work and achievements. 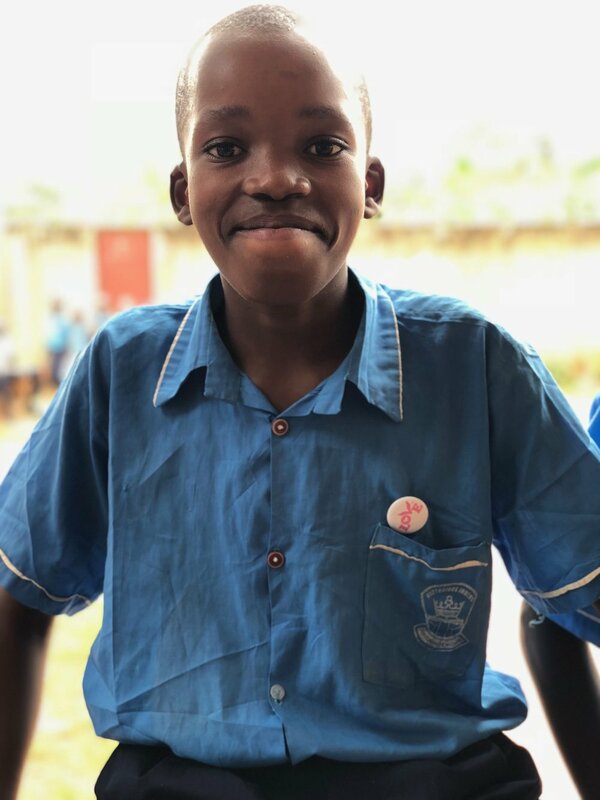 The organization’s focus on education and community development, propelling individuals to reach their full potential as leaders, innovators, and entrepreneurs is inspiring to Love Button. It is such a privilege to partner with Action in Africa. We are grateful. Mikayla: What are you most excited about with Love Button and Action in Africa’s Partnership? John: Our organizations align well. We have a shared goal to help our human family. Action in Africa strives to educate, inspire, and empower people as does Love Button. There is so much synergy in our missions and goals and we envision many collaborations. We are especially excited to partner for the community outreach program to deliver medical services. Mikayla: Thank you, John. We are grateful for you and Love Button. Our first campaign with Love Button officially launches this week. 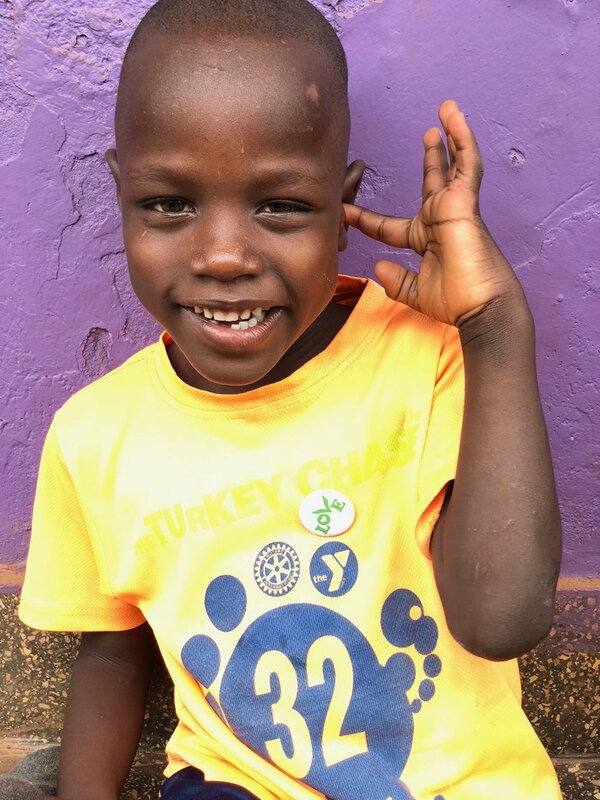 On September 1st, Action in Africa will be hosting a medical health outreach at our community center in Uganda, made possible by Love Button. At this outreach, we will be offering free HIV testing, malaria testing and treatment, deworming, antifungal treatment, and free haircuts. We are honored to have Love Buttons support with this outreach and would love to encourage you to join as well. And if we haven't already convinced you, all donations are tax-deductible and currently being matched up to $100,000 by an annonymous donor!